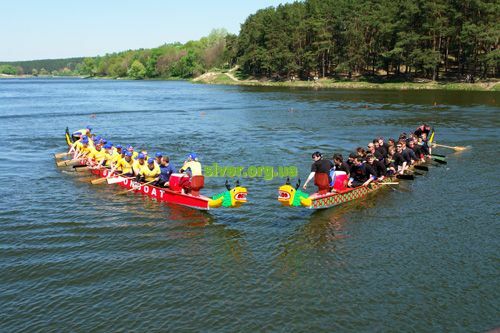 Rowing on a Dragon Boat is an ancient and exotic sport that is gaining popularity in the world. The history of this sport started more than 2000 years ago in China where everything connected with Dragon has a magical sense and is very venerated. The boat externally resembles a large canoe with the head and tail of a dragon. 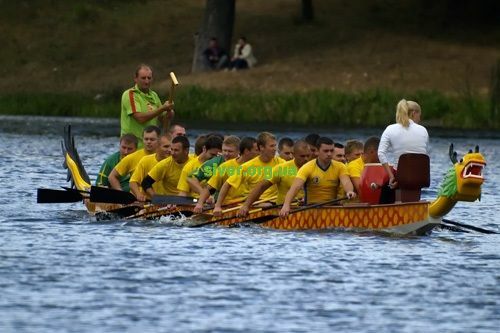 A boat team consists of 20 rowers, ten from each side, the steering at the stern, which manages a large steering oar and a drummer at the bow of the boat, which determines the rhythm of the oarsmen. The accessibility of this type of boating that does not require any special skills has resulted in its popularity on all continents. 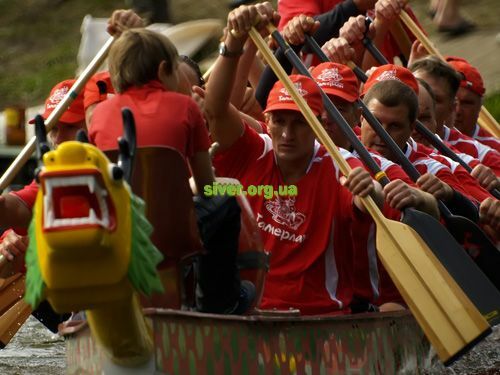 Large-scale involvement, security and cohesion are the main advantages of this type of rowing. 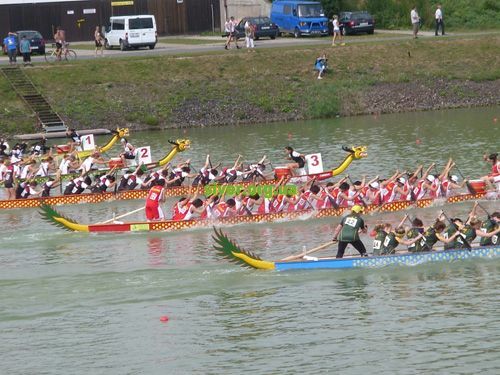 Sports, team spirit, fun and health – all these attract in dragonboat. 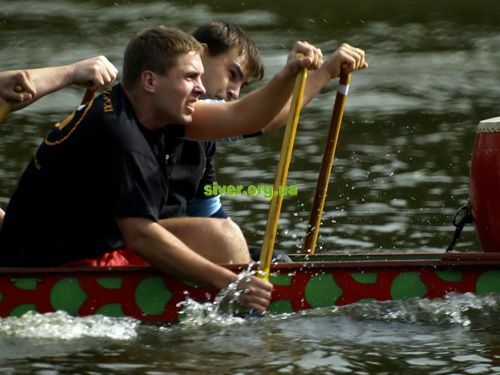 People of all ages, gender and level of fitness can be engaged in this type of rowing. Anyone can find their place in the team. 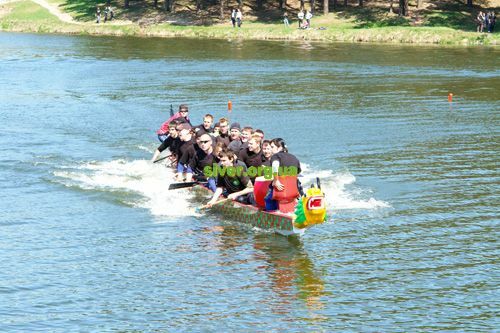 In addition, Dragonboat racing is a popular corporate sport, ie teams of employees of one company can compete with each other. 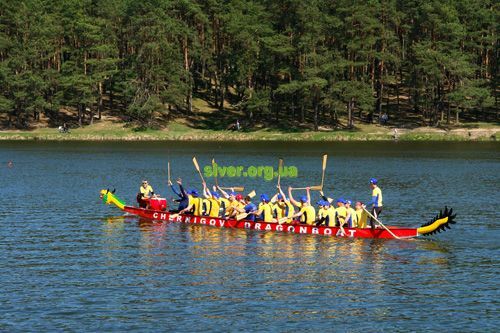 Dragon boat rowing tournaments among bankers as well as schools are regularly held in Chernigov. 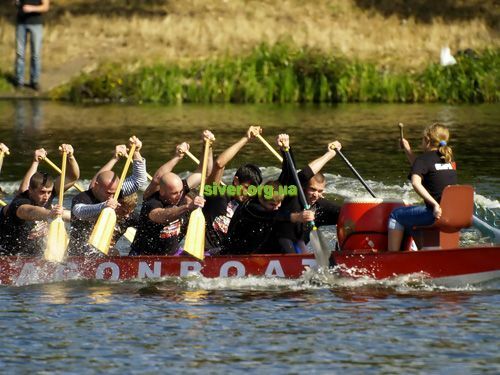 Dragonboat is perfect for team building within a large commercial structure as well as simply for leisure small group of friends. The minimum required number of people in a boat crew is ten. 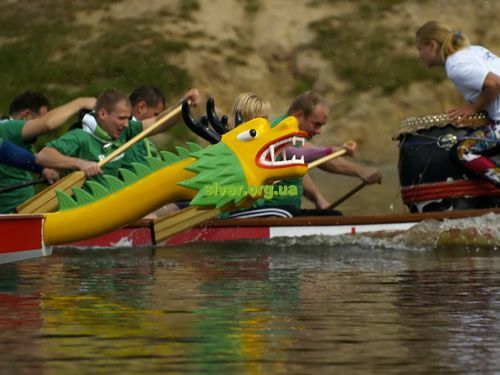 There are 2 Dragonboats currently avaliable in Chernihiv. 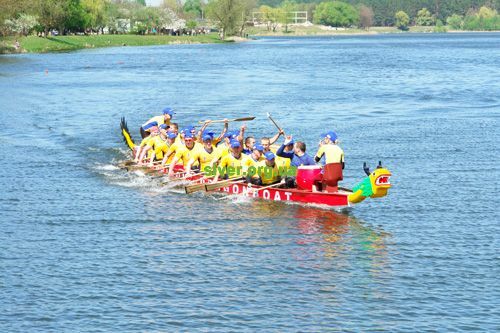 The Dragonboat rent also includes boat safety vests, instructor and a drummer. At your request, the Federation can bring the boat in any water body that is suitable for rowing and for any number of days. Federation can also provide the necessary equipment for rest in nature: tents, barbecues, etc. and help you to cook fish soup.